Apple has the biggest increase for this top 10 most valuable brands in the world 2015 (+43%) more than double than in 2014 (+21%). There are 5 brands that have increased their brand compare to 2014 (Apple, Google, Microsoft, Toyota and Amazon). 4 brands have a decreased of their brand value compare to 2014 (Coca-Cola, IBM, GE and McDonald’s) and one brand have the same value and the same position in this top as the year before (Samsung). In this top 10 most valuable brands 2015 there is only one brand that is outside of United States: Samsung – South Korea. 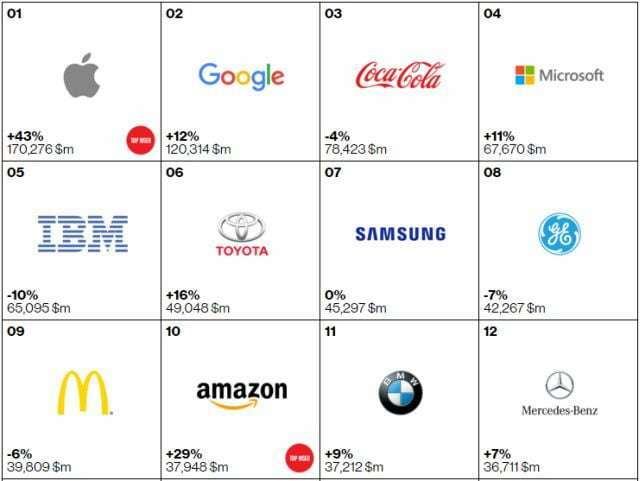 Below you can see the top 10 most valuable brands in the world 2015 according to their value, the sector of activity and their original country. Brand Value: 170.276 $ Millions (+43%), Sector: Technology, Country: U.S. Brand Value: 120.314 $ Millions (+12%), Sector: Technology, Country: U.S. Brand Value: 78.423 $ Millions (-4%), Sector: Beverages, Country: U.S. Brand Value: 67.670 $ Millions (+11%), Sector: Technology, Country: U.S. Brand Value: 65.095 $ Millions (-10%), Sector: Business Services, Country: U.S. Brand Value: 49.048 $ Millions (+16%), Sector: Automotive, Country: U.S. Brand Value: 42.267 $ Millions (-7%), Sector: Diversified, Country: U.S. Brand Value: 39.809 $ Millions (-6%), Sector: Restaurants, Country: U.S. Brand Value: 37.948 $ Millions (+29%), Sector: Retail, Country: U.S. If you want to see the Top 100 Most Valuable Brands in the World in 2015, click this link. 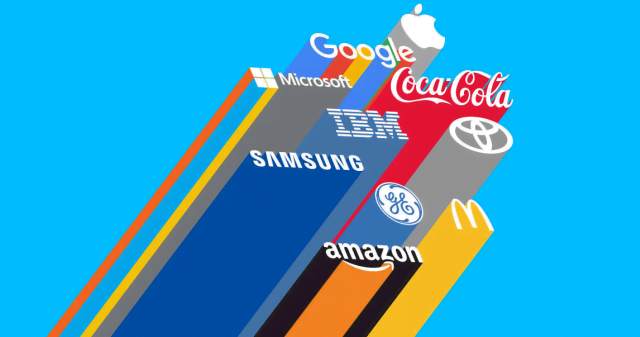 Which is your favorite brand from this Top 10 most valuable brands in the world 2015?